I have never comment you because I'm very shy...But today I have done this big step! I'm happy to comment you. I had a dream...In this dream I was speaking by the msn (messenger) and then you were online! We were speaking and we become good friends! When my dream will be real? Omg! I saw the new hair from Daiki-chan and,,, It's so blond! But.. 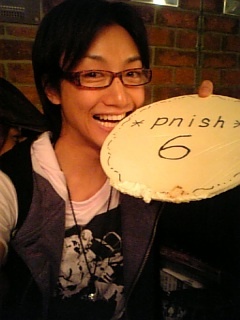 I'm appy 'cause *PNISH* still so strong after many years!